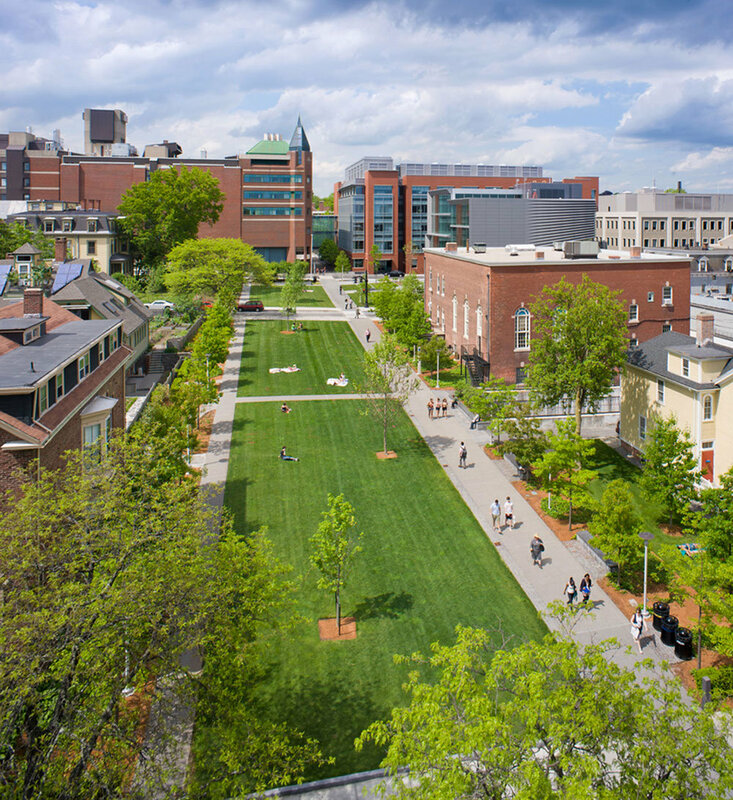 We were the landscape architect on the master planning team that prepared a plan for a new linking campus at Brown University known as The Walk. This Walk connected Brown’s Main Campus and the former Pembroke College. It was developed as a sequence of open spaces, around which new and existing university owned buildings are grouped, continuing the campus organization evident in Brown’s historic Main Campus as well as Pembroke College. The new greens were to replace a series of existing parking lots, a gas station and various dumpster alleys. The historic Peter Green House was moved to make way for the central green and now fronts onto an adjacent residential street where it forms an appropriate transition to the smaller scaled neighborhood. Over an eleven year period following the master plan’s acceptance we designed and oversaw construction on all five spaces described in the master plan. The projects were phased and often involved working with architects designing adjacent buildings.